The ScubaBSA Program is based upon a continual repetition from the classroom, to the pool, and then into the open water. We will spend from 6-8 sessions with your troop or your scout to develop these habits. It is not a “pass or fail” program. Our instructors are Scout Leaders and understand the needs of the Boy Scouts. The program is focused on the Knowledge, Skills, Experience, and Equipment that is necessary in the Boy Scouts of America Scuba Merit Badge Program. The program costs $125…this covers everything except personal equipment. You and your scout will do 6-8 classroom sessions either at the ScubaBSA facility or we will come to your troop and do the classes at your meeting place based upon your needs. This includes the Boy Scout’s SSI Educational Tools made up of their own Digital Download and Tools. Your scout will do 6-8 pool and practice sessions….the pool, and training equipment is here for your free use…at any time!! 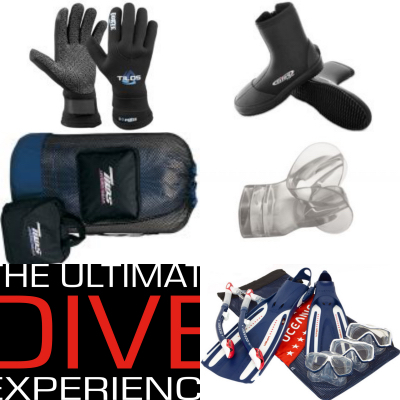 ScubaBSA has over $30000 worth of training equipment for your free use! You will do at least 6 dives in the open ocean with us. One will be snorkeling and the other five will be on Scuba. It will be your choice to decide on beach dives or boat dives for your experience. ScubaBSA provides all of the training equipment for the scouts and their families that are in the ScubaBSA program. Most training equipment is provided as it has been donated by some of the most prestigious manufacturers in the United States, primarily Oceanic. You will need your own personal equipment which includes your mask, fins, snorkel, boots, gloves, hood, hygenic mouthpieces, antifog, and equipment bag. The problem for most Scouting families is that Scuba can be cost prohibitive. Typically the described equipment could cost nearly $850….well…we have fixed that. We have two systems you can choose from that the good folks at Oceanic have helped us out with.